They’re more than just a pretty case or phone cover. 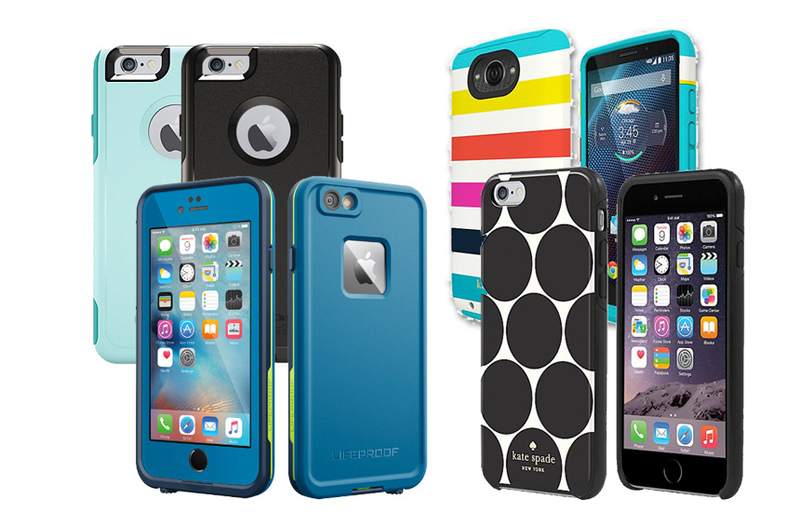 Choose a smart mobile phone case for added protection. Apple or Android? Phone or tablet? You’ve done your homework and finally decided on the perfect mobile device to fit your lifestyle and budget. But you’re not finished yet. The outside world can be pretty harsh to your cell phone, so it’s important to find the right case to keep it safe from spills, scratches, heat damage and even too much dust. At CellOnly, your Verizon Premium Wireless Retailer, we have a large selection of cases and glass protectors for your cell phone or mobile device. If your device is exposed to brutal working conditions – while you’re on the job or into extreme sports – you might want to choose a sturdier case and consider one with a warranty. We also carry tempered glass covers to help prevent shattering your screen. If color and style are more important in your world, we have affordable and colorful fashion options from famous makers that you’ll likely recognize – and want to own. You can change often to suit your mood and wardrobe choice. Find cell phone cases, device covers and many other accessories for all of your mobile devices at CellOnly. No matter what you’re looking for, you can find the case and protection that’s right for you and your connected life.